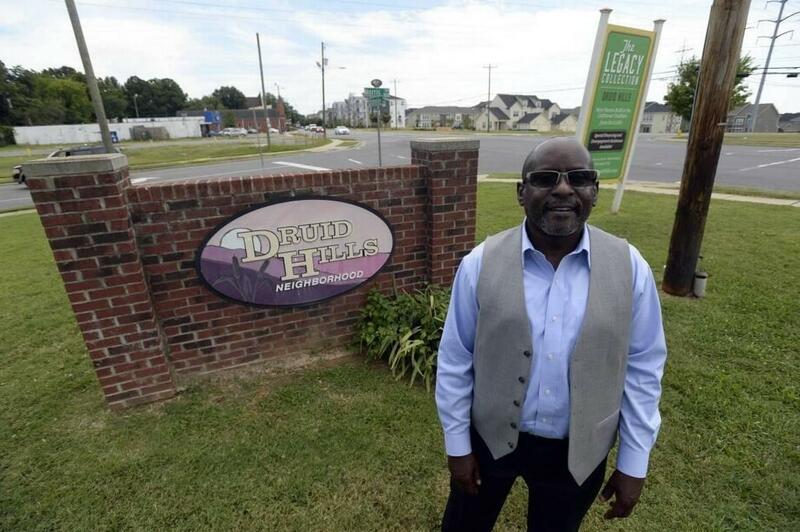 Darryl Gaston is a longtime resident of Charlotte's Druid Hills neighborhood, on the north side of the city. Camp North End, a massive redevelopment project is moving in next door. Gaston and his neighbors are working with developers while also trying to keep longtime residents in their homes. Affordable housing has long been in short supply in Charlotte. Some of the most affordable housing may be the homes people have owned and lived in for years but as more people move closer in to the center city, those homes are being threatened. Developers descend on neighborhoods, buying up older homes, tearing them down and building new ones. This spruces up communities even for those who choose not to sell but if they stay, many start feeling the squeeze. Mike Collins talks with residents in some of the affected areas of town about their dilemma and about what may be a first-of-its-kind effort to slow gentrification down. What’s the next neighborhood to gentrify? We get a fuller picture of Charlotte’s homicide rate and how it has affected the city. Then, our Block-By-Block series takes us to Camp North End. This languishing area is about to get a facelift. Charlotte is back in the boom business with growth and development now focusing on older neighborhoods. So what happens to those neighborhoods and their longtime residents when redevelopment comes rolling through? Areas in the urban core like Villa Heights, Biddleville and Cherry are experiencing an influx of newcomers and the style of housing going up is changing the character of those areas and driving prices up. As part of our “Block by Block,” series, this report takes you to Gastonia. In the early 20th century, Gastonia was home to one of the largest textile mills in the South: The Loray Mill. It grew to employ 3,500 workers, and most lived in the surrounding mill village. The neighborhood’s ties to the mill stayed strong well after the company stopped providing housing. In fact, it’s still strong 22 years after the mill closed and accelerated the community’s decline. Charlotte's South End was an industrial wasteland in the 1980s. Now, it's a vibrant home to breweries, shops, restaurants – and relentless construction. Recent developments have some worried that popular gathering spots will be replaced by apartments or office towers. We'll talk to one of the pioneers who helped make South End cool, and is now selling the lot that includes Common Market and Food Truck Fridays.